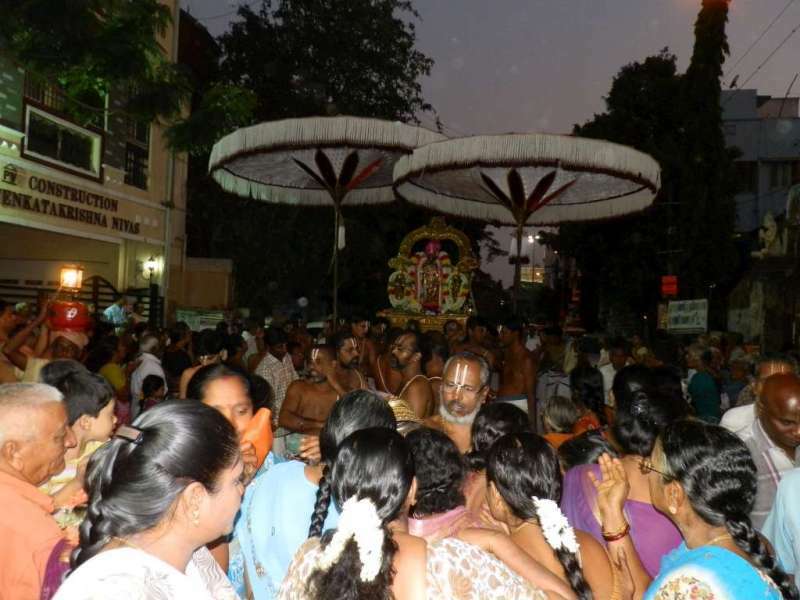 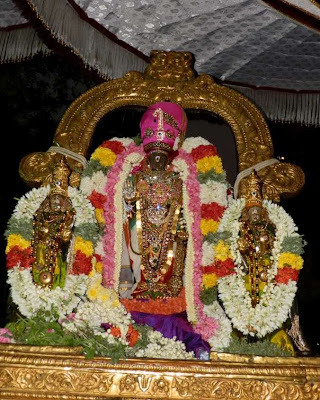 Today 24th Mar 2013 is the 5th and concluding day of Thavana Uthsavam. Sure you would read my earlier post on the ‘purappadu’ this morning from Thirukovil to the Bungalow. 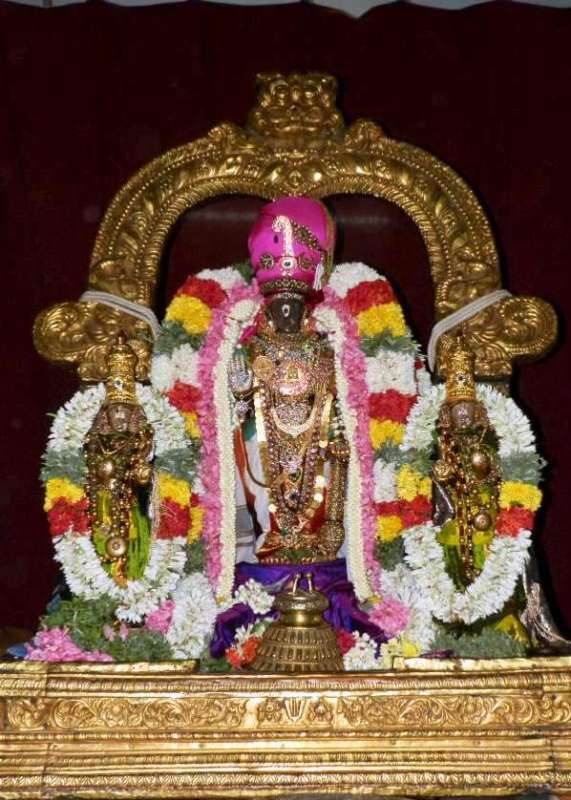 You could have observed the ‘most beautiful thirumeni’ of Sri Parthasarathi wearing a single garland and not many ornaments. 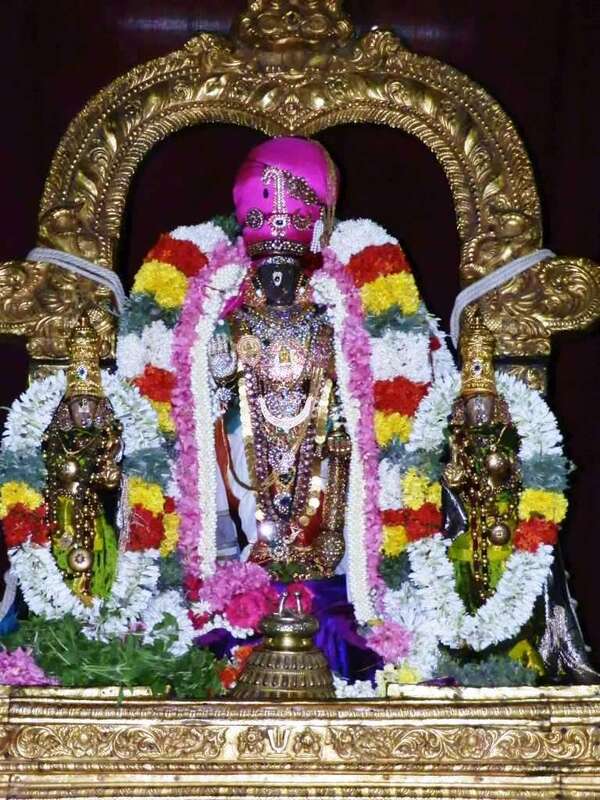 In the evening, it was most grand ~ a grand red turban with Kingly ornaments on that’; many garlands and so many glittering ornaments getting adorned by Him. 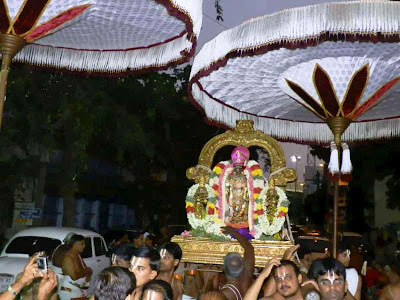 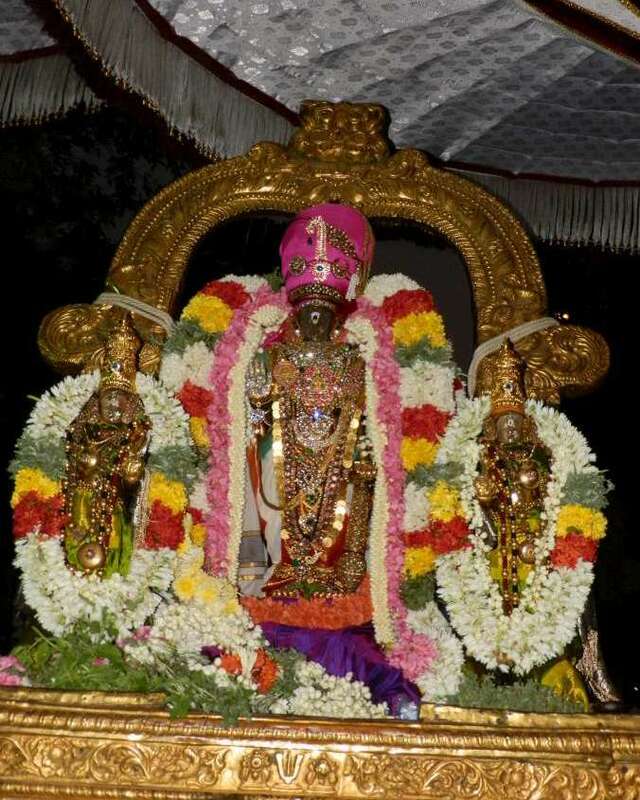 Here are some photos of Sri Parthasarathi glittering in resplendent splendor, taken this evening.